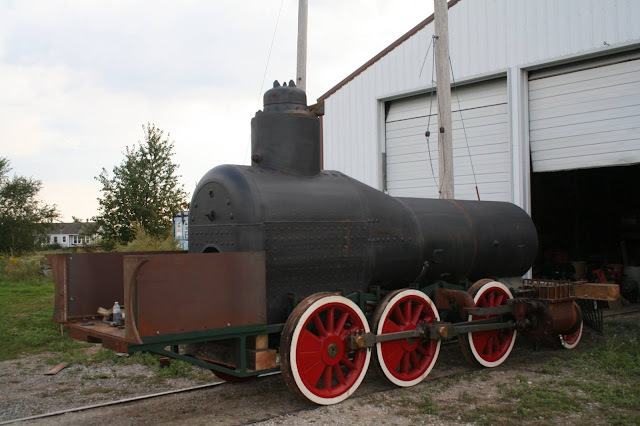 The Lyon's boiler now sits atop the chassis outside its shed in Iowa. 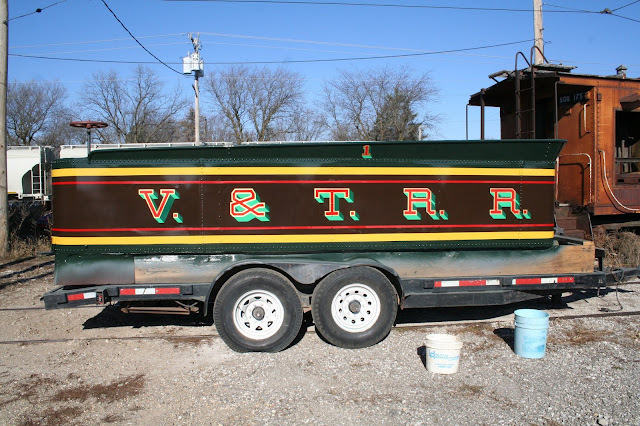 This week, I was in Mason City, Iowa and decided to visit the nearby town of Clear Lake where Stan Gentry is building a full-sized working replica of Virginia & Truckee RR No.1, the Lyon. 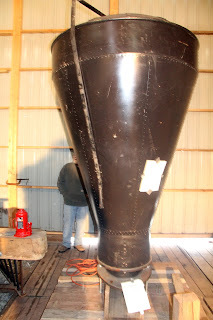 Stan started this project about 20 years ago and is about 80% complete. He is using the same drawings that I have for my HO scale Ormsby, the Lyon's sister engine. The complete tender tank waiting to be mated to the underframe. 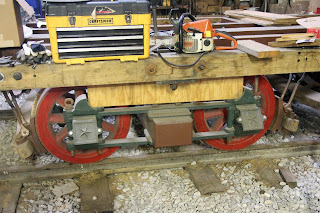 Stan located the remnants of a Union Iron Works tender which had been built for the Bodie & Benton railroad in California. 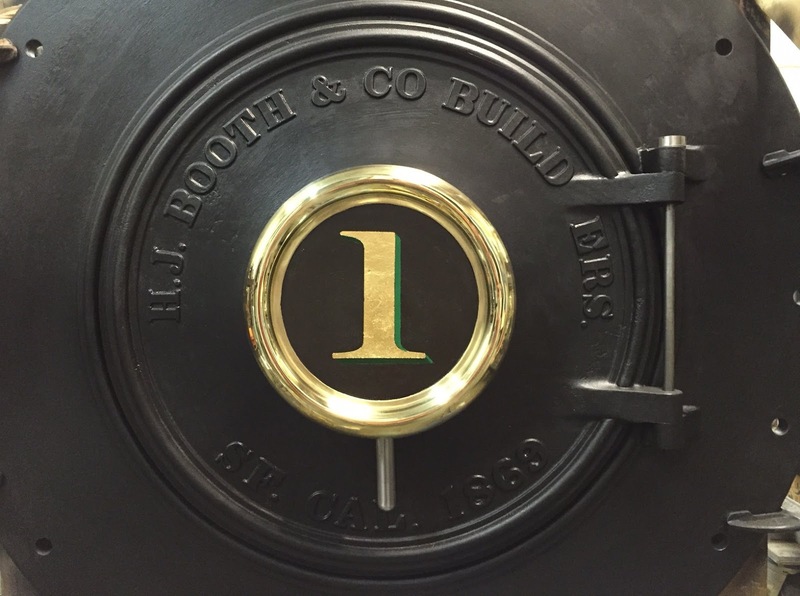 He has used that to recreate the building style for the Lyon's tender. Remaining to be done is the cab, domes, valves, water pumps and the myriad of small details you don't realize you need until you start doing this kind of project. Tender trucks and chassis awaiting the tank. The locomotives in the nineteenth century are relatively small but you don't realize how tiny they until you stand beside them. I've visited the California State Railroad Museum where they have one of the V&T's larger 2-6-0s and it's monstsrous along of the Lyon. Stan is a real nice guy and I wish him all the luck in completing this project. It will sure be neat to watch it running some day. You can read more about his project on Facebook (https://www.facebook.com/V-T-Lyon-269396092936/) or at vtlyon.com. 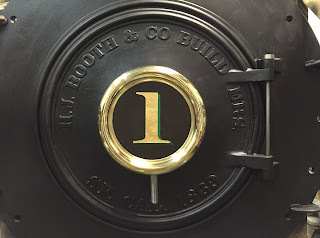 Newly-made smokebox front duplicating the original.